The Senior Open will return to Royal Lytham and St Annes Golf Club in 2019 for the first time in 25 years. The 33rd Senior Open Championship will be staged at the Fylde coast links from July 25-28 next year. The Senior Claret Jug was contested at RL&SA for four successive years in the 1990s but has not returned there since Tom Wargo's victory in 1994. Johnnie Cole-Hamilton, executive director-championships at The Royal and Ancient, said: “Royal Lytham & St Annes has a prestigious reputation as a world-class championship venue and a number of the greatest golfers in the history of the game have won The Open on these famous links." The 2016 European Ryder Cup captain Darren Clarke, who turns 50 in August this year, and fellow Major champions Michael Campbell, Paul Lawrie and Retief Goosen will be in line to make their Senior Open debuts on the Fylde next year. Former Ryder Cup captain Bernhard Langer made history at last year's Senior Open, when he became the first winner of 10 Senior Major Championships, securing his third Senior Claret Jug at Royal Porthcawl. 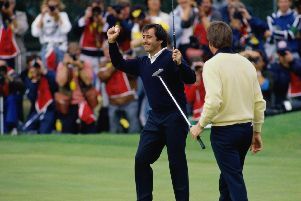 Langer joined Gary Player, winner of The Open at RL&SA in 1974, and Tom Watson as a three-time winner of The Senior Open, which will be staged this year on the Old Course at St Andrews. The Linksgate venue will host the Ricoh Women's British Open for the fifth time this August.